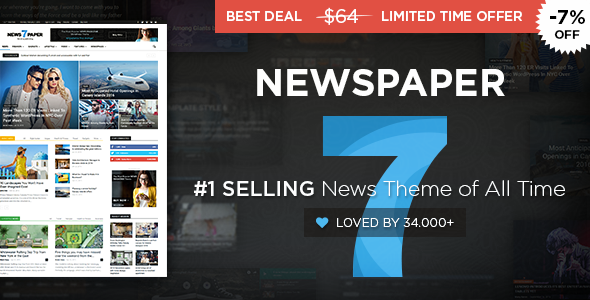 The Newspaper theme is excellent for a news, newspaper, magazine, publishing or review site. It also supports videos from YouTube and features a rating system. So far, we have the Newspaper theme integrated with bbPress Forum, BuddyPress, Buddy Press, and WooCommerce. It uses the best clean SEO practices, and on top of that, it’s fast, simple, and easy to use. In addition, Newspaper supports responsive Google Ads and AdSense.